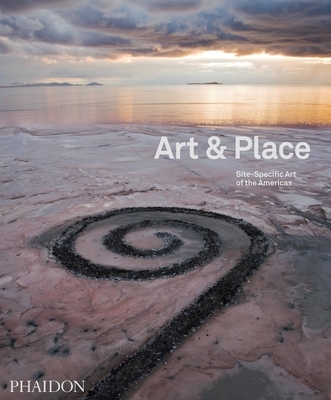 Art & Place is an extraordinary collection of site–specific art in the Americas. Featuring hundreds of powerful art works in 60 cities – from Albuquerque to Boston and Baja to Rio de Janeiro – the book is both an informative guide and a virtual bucket list of outstanding art destinations. Conceived and developed by Phaidon editors, Art & Place covers carving, painting, murals, frescos, earthworks, land art, and more. Each of the works has a dedicated entry pairing gorgeous, large&hyphen;format images with in&hyphen;depth descriptions. Maps pinpoint the sites’ locations while specially commissioned plans reveal some of the more complex layouts. The book is organized geographically, offering fresh juxtapositions among familiar art works, such as Anish Kapoor’s Cloud Gate and Robert Smithson’s Spiral Jetty, alongside lesser-known revelations, such as Inhotim Centro de Arte Contemporânea in Brazil. Whether in the mountains, at the heart of a city, or on a remote island, the works in Art & Place are all inextricably linked with their environment. This is art to experience in an immersive way, presented together in a single book for the first time.